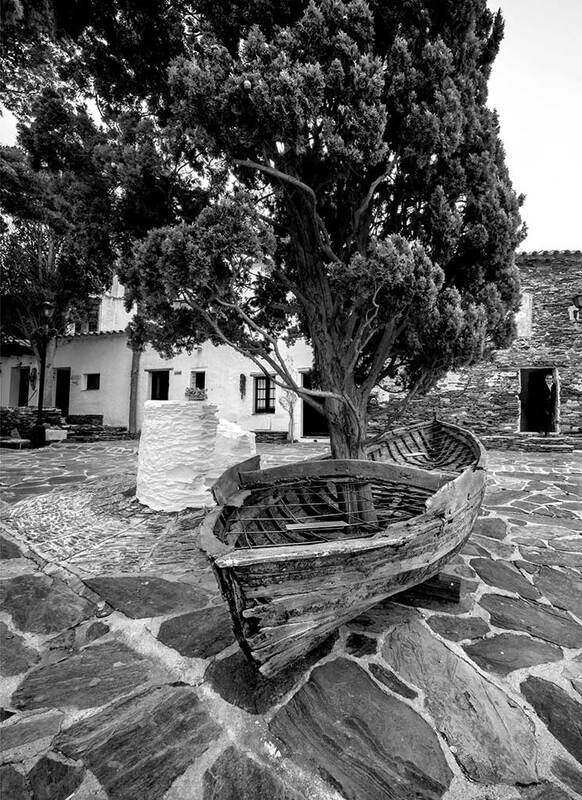 Photographic Story As I walked through the courtyard to Dalí’s Port Lligat home, I saw this boat impaled by a tree. I thought it was odd, but very Dalí-esque. I took several different angles but liked this one the best due to the fact that a mysterious elderly man is in the distant doorway. Digital – Archival Pigment Print This photograph was taken with a high-quality digital camera. The photograph is printed on an Epson Stylus 4800 or 11880 printer. Clyde uses archival Ultra-chrome K3 i and prints on archival Harman Hahnemuhle paper. The limited edition photograph is then mounted and matted to current archival standards. This is a limited edition series and each photograph is numbered.